Back from our languorous sabbatical, the Monolith Cocktail is pleased to confirm that our delightful, erudite and poetic scribbler Ayfer Simms will be joining us once again during 2015; continuing to lift the art of music criticism to ever loftier heights, and vainly describe the indescribable. Ayfer will now attempt to whisk us all off to a romanticized and esoteric Mexico via the sounds of the Liverpool based troupe, Roja Musica. 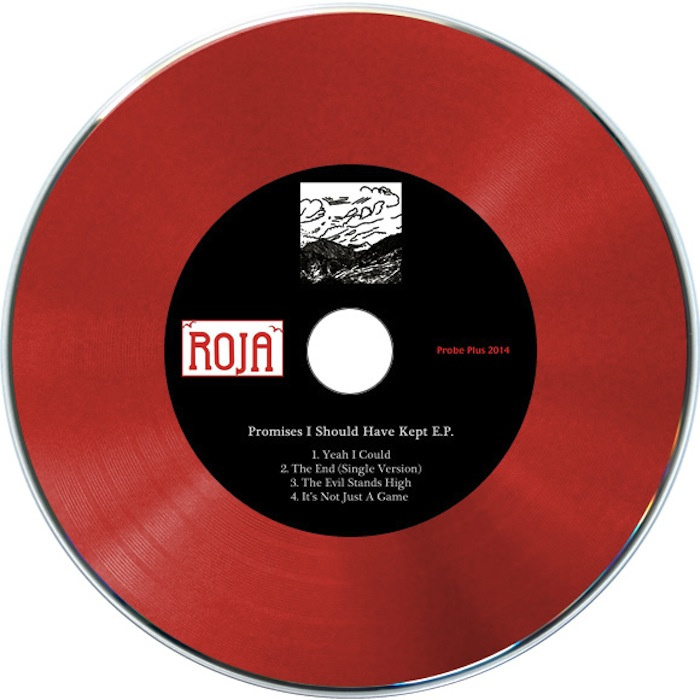 Roja Musica ‘Promises I Should Have Kept’ (Probe Plus Records) Originally released 1st December 2014. Languorous and joyously disheveled we are thrown in the streets of a ghostly Mexico with smoky mountains looming in the horizon, bathing in Mariachi and spats of mescal under a thunder of big orchestra and choruses, ample guitars and other instruments. The trumpets are blowing as far as footsteps dancing in a blazing swirl under a hot air, as if erupting from a voodoo inferno, magical, enticing: The master of it, here a chap from Liverpool, throws in some sparks, seductive and rhythmical, a big adventure, some celebration and passionate outbursts. The EP, is made of rawness of the sun, the sweat that comes from too much dancing, too much emotions; the music, the tropic’s heat under our hoofs. ‘The End’ is an energetic tune, feverish and sang with gusto: “I know we’ve reached the end” unified in a chorus of deserters, muchachos going up to the mountains for their one way trip to the world of the wicked. ‘The Evil Stands High’ is Ian Flemming walking in the streets of Mexico meeting an old fellow, drowning in his own misery and grandeur: Malcolm Lowry reborn in the skin of a Bond and bound for hell, we are plunged in an atmosphere of high profile characters, dancing the tango on a monsoon day, crime and glamour all at once. It should be macabre, but the EP is a joyous ball of fire. ‘It’s not just a game’ is a duo of a man and woman salivating as they leap toward each other; lovers, indeed it is more than a game, it is hot blood spilling on naked bodies, hearts out in the open with in the background strong feet stamping the ground on Spanish rhythms; a boiling effrontery, the music of torrid fervour, stormy ardor. Yes, do and hunt their name, they are explosive and delicious, to be consummated as spicy and hot as possible.